Thanks to the Children's Picnic Hut by Fermob, little ones now have their very own shelter in the garden, where they can eat or play. The construction consists of a table-bench combination that accommodates 4 to 6 boys and girls. The Picnic table is special because of the roof that covers the seating area creating a little house where kids can have all kinds of adventures. In the little hut, children can play, eat and laugh whilst being still being protected against the blazing sun or light rain showers thanks to the roof. The frame of the playhouse consists of a galvanised steel tube structure while the table top and the bench are made from steel sheets with special outdoor coating and UV protection. The Picnic house is, of course, of the high quality that we are used to from Fermob. The roof made of 100% outdoor- and UV-resistant acrylic fabric can withstand wind and weather and the colour does not fade. 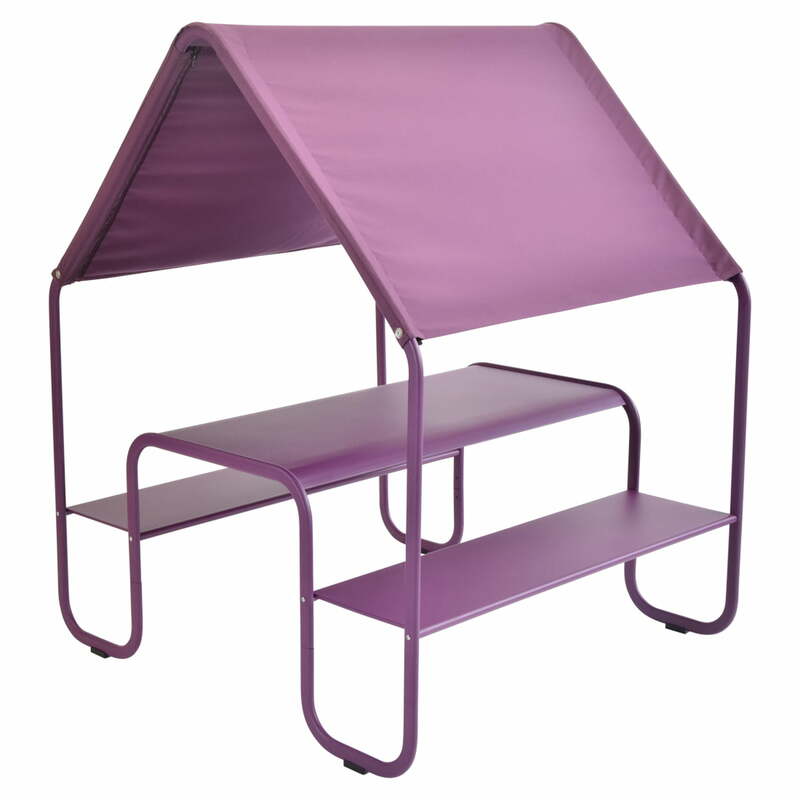 The Picnic hut for children by Fermob is available in lagoon blue and aubergine. 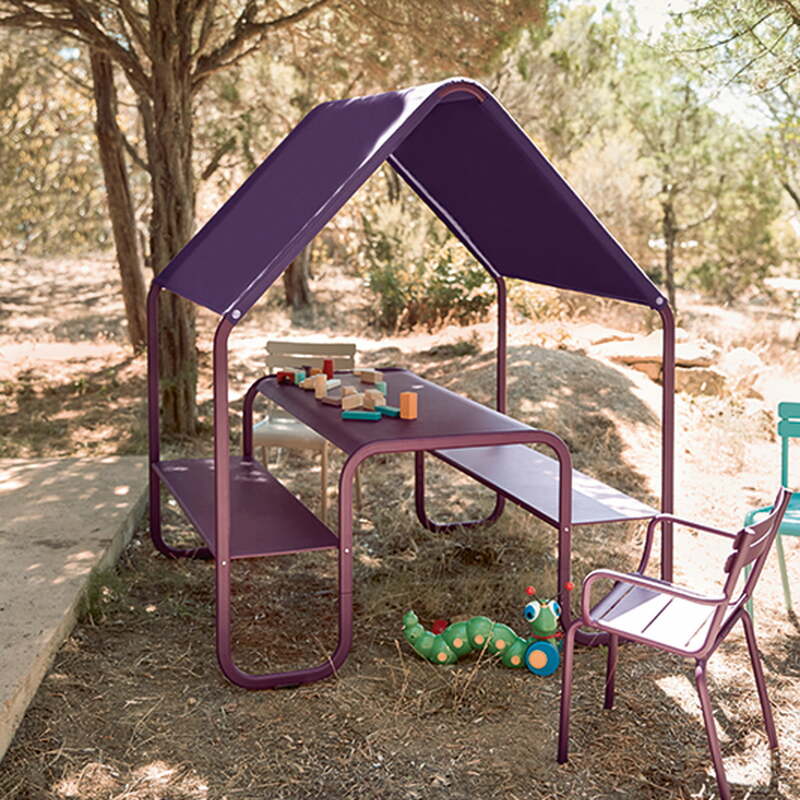 Fermob - Children’s Picnic Hut by Fermob in aubergine: Thanks to the Children’s Picnic Hut by Fermob, little ones now have their very own shelter in the garden, where they can eat or play. Fermob - Children’s Picnic Hut by Fermob in lagoon blue: In the little hut, children can play, eat and laugh whilst being still being protected against the blazing sun or light rain showers thanks to the roof. The Picnic table is special because of the roof that covers the seating area creating a little house where kids can have all kinds of adventures.